Hitchcock directed more than fifty feature films in a career spanning six decades. 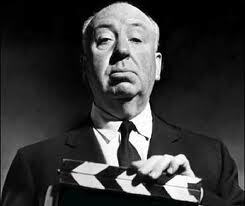 Often regarded as the greatest British filmmaker, he came first in a 2007 poll of film critics in Britain's Daily Telegraph newspaper, which said: "Unquestionably the greatest filmmaker to emerge from these islands, Hitchcock did more than any director to shape modern cinema, which would be utterly different without him. His flair was for narrative, cruelly withholding crucial information (from his characters and from us) and engaging the emotions of the audience like no one else." MovieMaker has hailed him as the most influential filmmaker of all time,and he is widely regarded as one of cinema's most significant artists.